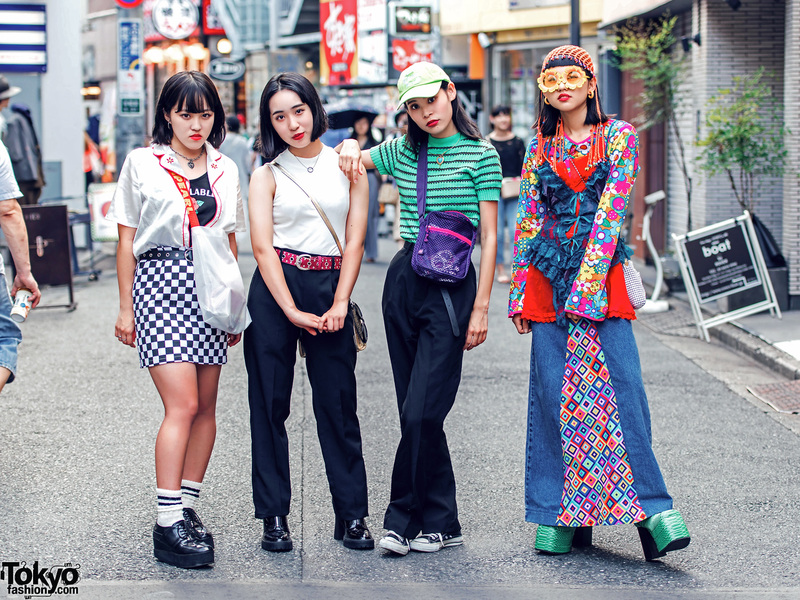 Harajuku girls in modern street style ensembles with satin shirt over tank top, checkerboard skirt, lace up shoes; sleeveless top, pleated pants, sneakers; striped knit top, black pants, platform booties; and layered lingerie over floral print shirt, remake denim skirt, and snakeskin booties. Harajuku graphic designer in all black layered fashion w/ ruffle blouse over sheer dress and sweater dress, ruffle socks, platform zipper boots, black beret, and a red satchel bow bag. Harajuku girl with twin braids sporting lingerie dress as outerwear, with black socks over fishnet stockings, low cut boots, and crossbody bag. Harajuku care worker sporting a colorful outfit while out and about one evening. 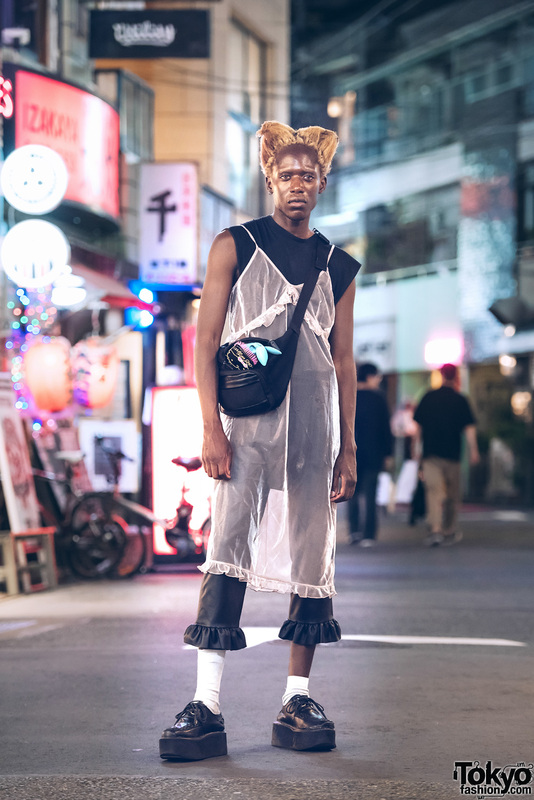 Harajuku girls wearing minimalist fashion styles with hoodie sweater, black wide leg pants with side snaps, black sneakers, pink sheer dress over t-shirt, pink wide leg pants, platform white sneakers and a black tote bag.